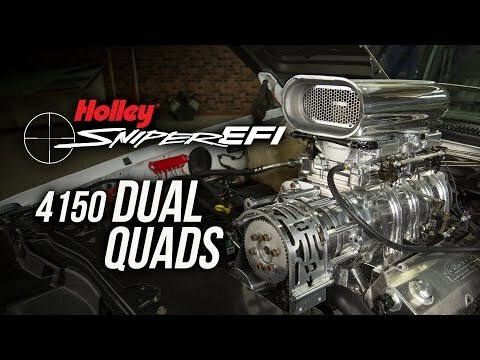 Holley Water/Methanol Injection Systems deliver a 50/50 mixture of methanol and water that increases horsepower, reduces detonation, and allows both naturally aspirated and boosted engines to safely run on lower-octane pump gas. A budget-friendly alternative to expensive high-octane gas, methanol (also known as alcohol) absorbs heat directly out of the air through the process of latent heat of vaporization. When the finely atomized water/methanol mix enters the engine, it absorbs heat and provides a cooling effect, lowering the air-intake temperature. By reducing detonation, this cooler, denser intake charge lets you run more timing – and make more power. 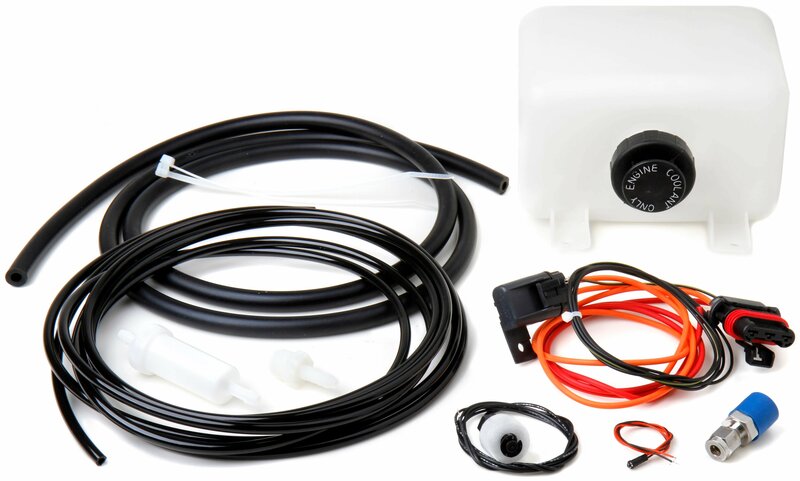 An installation kit is available that includes a fluid reservoir, polyurethane tubing, water-injection filter, fused wiring harness, relay, LED warning light, and low-level float. Every component in the kit is fully compatible with water/methanol blends of up to 50% methanol. 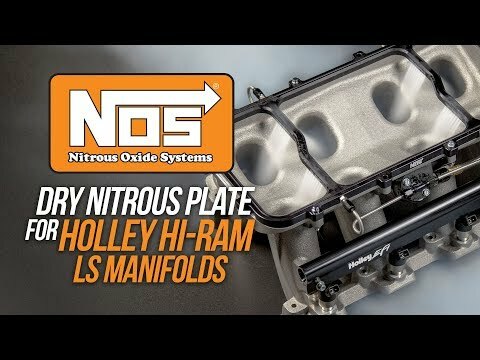 A solenoid nozzle for 800 horsepower or 600 horsepower engines is run by an injector driver output from either a Holley HP or Dominator ECU, ensuring that at any RPM and any load, the engine gets a precise shot of the water/methanol mix based on the percentage of fuel flow present. 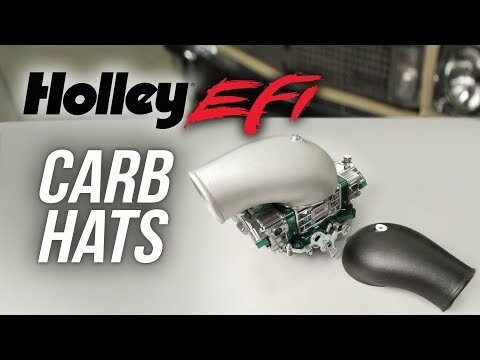 That makes tuning a relatively simple and extremely accurate process, and if your ECU doesn't have an extra output available (because your HP ECU is driving 8 injectors, for example), just install a solenoid driver module that can be driven by a low-side pulse-width-modulated output. 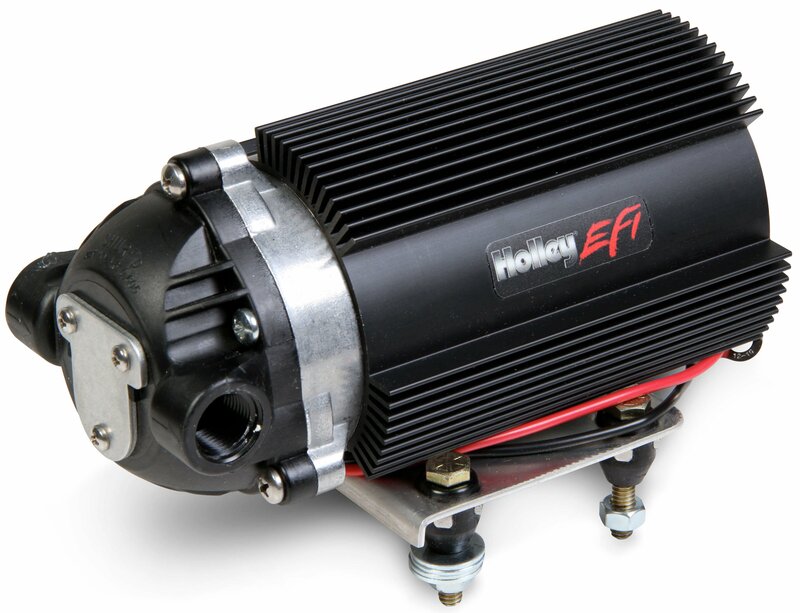 The high-pressure water methanol pump maintains line pressure and volume, giving you the full benefit from the cooling effect that the water/methanol mix naturally provides. 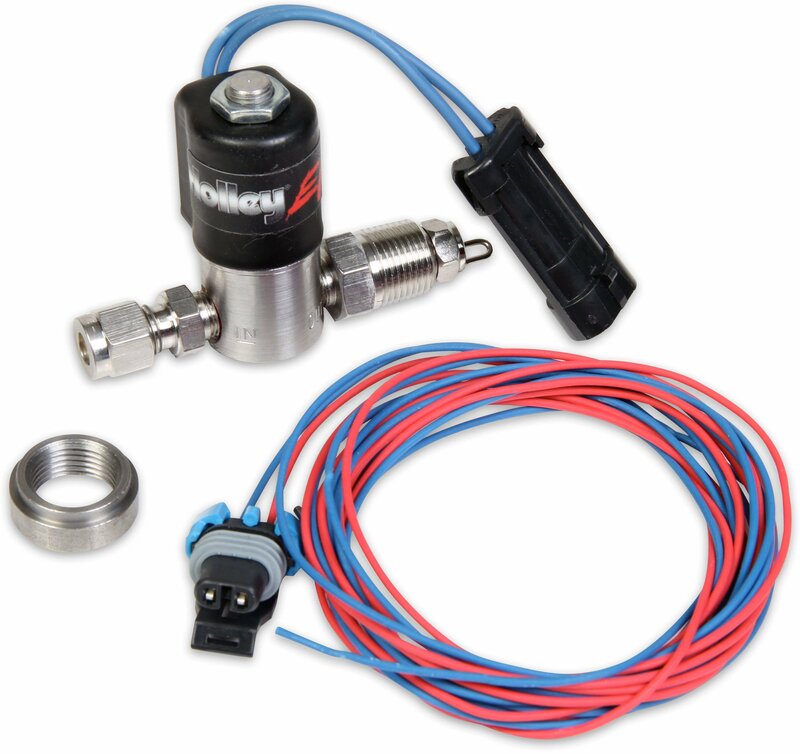 The solenoid flow has been characterized within the ECU – just program an exact flow amount into the software, and that flow is injected into the engine. This is critical to ensure that neither too little water/methanol mix is injected into the engine, which could cause engine damage, nor too much, which could create a significant power loss. 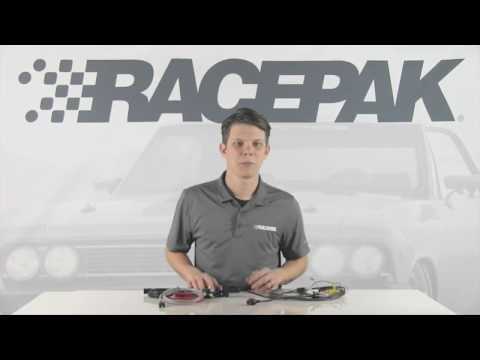 See detailed product information for the Water/Methanol Injection Kit. See detailed product information for the Water Injection Filter. See detailed product information for the 1000cc/min (800HP) Solenoid/Nozzle. See detailed product information for 900cc/min (600HP) Solenoid/Nozzle. See detailed product information for the Solenoid Driver Module. See detailed product information for the Water/Methanol Pump.